Qixiang Electron Science & Technology Co., Ltd was founded in January 1993, and is locate in Quanzhou in China. Qixiang is a high-tech corporation specialized in design, production and marketing of wireless commu-nication equipment such as Digital and Analog Handheld Two Way Radio’s, Mobile Radio’s, Citizen Band Radio’s, WiFi Radio’s, Marine Radio’s and Cell Phone Repeaters under the name AnyTone. The new AnyTone AT-D868UV Dual Band DMR and Analog transceiver will be released to the US market on 1 March 2017. This is an advanced one chip radio complying with the MOTOTRBO Tier I and II specifications and offering 3 inherent power levels of 6W/2.5W/0.5W. The frequency bands include both 136—174 MHz and 400—480 MHz. The radio will auto-sense digital or analog transmissions and connect accordingly. 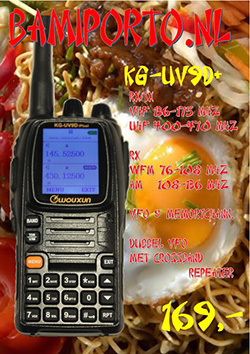 It offers 1,000 channels as well as VFO tuning and for DMR operation offers 2 channels per frequency. 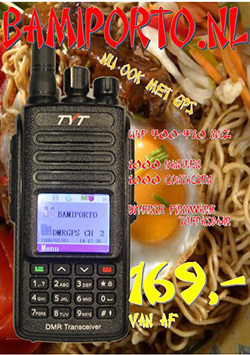 The new radio includes a 1.77 inch TFT color LCD display which allows ease of seeing the many operating modes including icons for a successful connection to a repeater as well as the caller ID and name etc. The bandwidth is 12.5k/25k for An-alog, and 12.5k for digital DMR operation. GPS is optional. 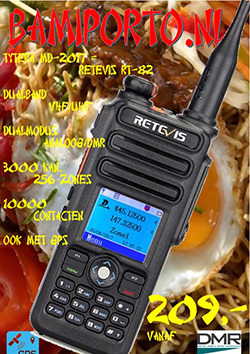 All typical CTCSS/DCS, and DTMF/2TONE/5TONE encode and decode features are also included with the radio. The digital part of the radio allows SMS texting functions via the keyboard. Two battery options are offered in addition to the standard 2,000 mAh Li-ion bat-tery: a 2,400 mAh Li-ion or a 3,300 mAh polymer film battery option. In addition to the Dual Band AT-D868UV radio, AnyTone will also introduce its new Single Band AnyTone AT-D868S radio with the same technical data except the power level will be 10W/5W/2.5W/0.5W. Both radios will be FCC approved and supported with an enhanced software programming package. Several additional AnyTone radios, including two mobile 60W/50Watts Analog/Digital DMR radios are planned for release later in 2017. 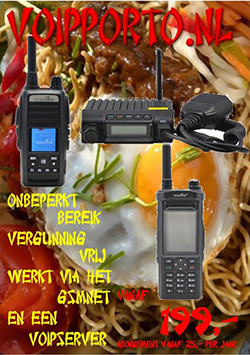 The new Dual Band AT-D5888 may be worth waiting for as it will offer the same enhanced features as the portable radios above. DMR repeaters are also being developed by AnyTone.